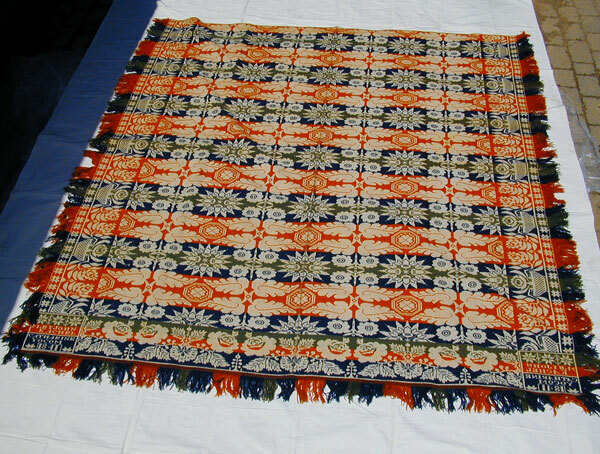 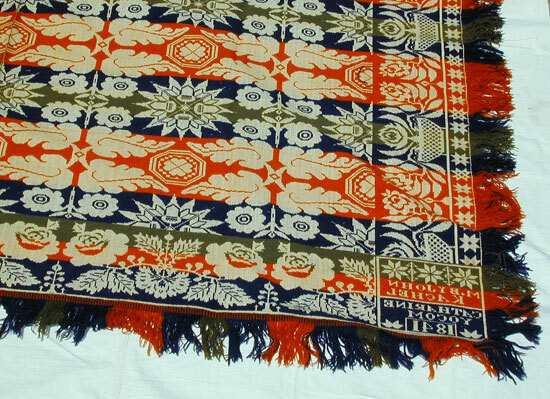 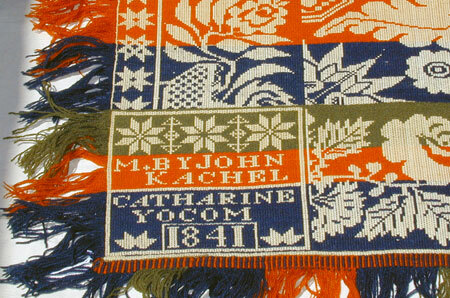 This "pair" of coverlets were made by John Kachel, a coverlet weaver from Robeson Township, Berks County, Pennsylvania. 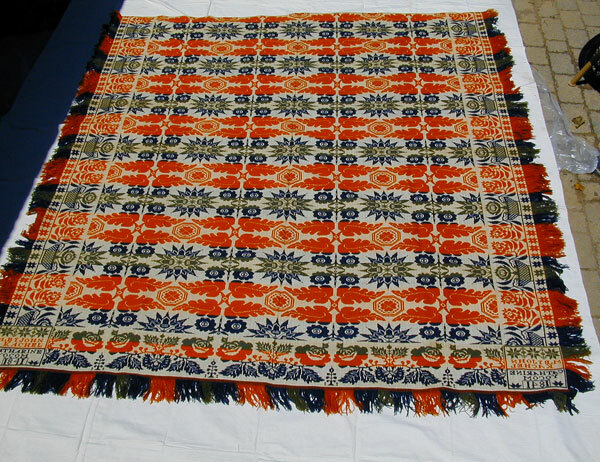 This coverlet has the name Catharine Yocom 1841 in the corner block, the other coverlet has Hannah Yocom...I suspect they are sisters. 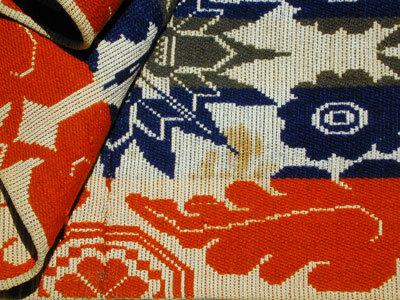 The coverlets have the identical pattern, further the colors of the wool appear to be from the same dye lot. 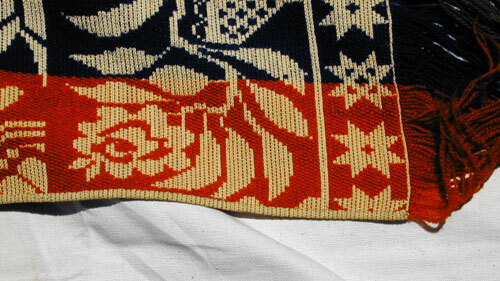 The only difference save for their names is the color of the block end of the coverlets, the green/blue/red wools are opposite.